What was the Greatest Secret of the Stone Age? Clear-thinking survivors of the last Ice Age applied their minds to understanding events within an ever-changing sky. Counting time periods within repeated sky-events revealed special "sacred" numbers, as relationships between celestial cycles. Stone and earthwork constructions were used, employing simple geometries, lengths to count days and, noticing the properties different numbers have, forging an astronomical world-view. 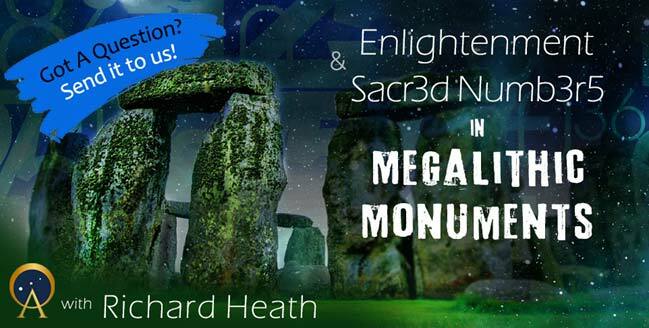 This world-view has been partially recovered through studying how and why megalithic monuments were built, and by noticing that our oldest religious stories and temple-building cultures conform to astronomical numbers. So long as the Stone Age is considered less knowledgeable, the modern world avoids learning their greatest secret; that the outer planets have become musically harmonious and the inner planets remain a source of creative tension within our oldest stories. Discover the secrets of Stone Age wisdom with Richard Health in this mind-expanding AOPremium In-Depth Interview. GET YOUR QUESTIONS IN BEFORE AUGUST 24! This Interview will be available to download from August 26.